Whether you are a large medical device company or a brand new device startup, we have a calibration program just for you. Choose a calibration plan below and let’s get started. 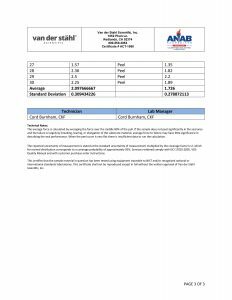 Don’t let the name fool you, there is nothing basic about this ISO/IEC 17025 accredited calibration and support plan. Additional machine function calibrations and verification with our Basic Plus Plan for a stronger validation plan. Beyond the basic single point calibration plan, this multi-zone calibration includes 3 thermal ranges i.e. 225, 300, 375. Complete calibration designed to create a robust “Installation qualification” for the most demanding validation. Beyond the basic single point calibration, this calibration includes 3 thermal ranges i.e. 225, 300, 375 to provide higher confidence. Our complete calibration designed to create a robust “Installation qualification” for the most demanding medical packaging validation. This program includes the full calibration of the PRO PLUS plan and a 30pouch seal strength study from our ISO/IEC accredited laboratory. 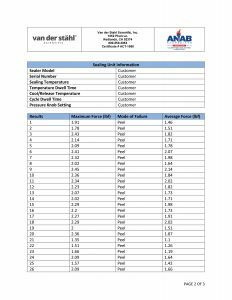 For our Basic plan we collect data at a single machine temperature setting at a single location on the sealing bar/platen. A calibrated thin film ribbon style temperature lead is taped in place on the sealing bar to capture the thermal environment of the device. The machine is cycled multiple times (for impulse sealers) to mimic production use in order to better understand machine behavior. During this calibration session we data-log the event so we can evaluate time stamped line item data, as well as waveform data in order to better determine the machines compliance to the +/- brackets of pass/fail. A document folder is included with the calibrated device upon return that includes supporting documentation. 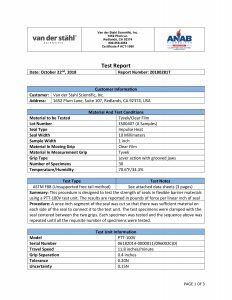 We provide both “as found” and “as left” data, when possible, as well as a calibration certificate. The Basic+ plan includes the same temperature calibration as the Basic plan with the addition of a three-point check of the time and force. This plan is available for the OPL series and the MS-350 models that qualify. The MS-350 and OPL series sealers feature a serial number with an embedded date of manufacture, for example serial number 12132011-0000004/024651. The highlighted portion indicates that this sealer was manufactured on 12-13-2011. To determine if your sealer is eligible for time calibration the serial number must start with 12132011 for OPL series or 02172012 for the MS-350. Only sealers manufactured on or after these dates will qualify. In addition, only MS-350s that have a serial number that ends with an “F” are eligible for force calibration. The Pro plan allows you to select three different temperature settings that we will collect “as found” and “as left” data at. The chosen temperatures must fall between 200°F to 385°F for the MS-350 and 200°F to 465°F for the OPL series. This plan has it all, a three-point check of the time, force, and temperature. In addition you will receive a 25 pouch seal strength check that adheres to the ASTM F88/F88M Standard Test Method for Seal Strength of Flexible Barrier Materials. Does your machine qualify for Time/Period Verification or Force Calibration? The MS-350 and OPL series sealers feature a serial number with an embedded date of manufacture, for example serial number 12132011-0000004/024651. The highlighted portion indicates that this sealer was manufactured on 12-13-2011. To determine if your sealer is eligible for time calibration the serial number must start with 12132011 for OPL series or 02172012 for the MS-350. Only sealers manufactured on or after these dates will qualify. In addition, only MS-350s that have a serial number that ends with an “F” are eligible for force calibration. Please specify in detail your customization needs. If you are having sealing issues please send pouch samples. Please take a few moments to read the SRA agreement. The SRA (service return authorization) agreement outlines important instructions on how to safely return your machine for service or calibrations. Sadly, many machines have come to our service center completely destroyed because of improper crating and padding. UPS or FedEx would not cover the total loss of the machine. Remember to select that you have read the SRA agreement and please submit your form below. We look forward to providing an accurate calibration or precision service on your machinery. Our standard calibration lead-times are 7 to 9 business days, if a more rapid turnaround is required or if you have additional questions please contact customer service at 800-550-3854. Often machinery sent back to our laboratory for calibration is damaged from other items rubbing or bumping against the unit shipped. Remember to remove tables, feed trays or any other part of the machine not needed for calibration or service. For more details, contact customer care at 800-550-3854. Pack your machinery in a multi-wall weight rated box or custom crate that can withstand a hard hit or fall. Always allow a 6-inch buffer and remember to pad the machine with a strong closed cell foam or layered corrugated material. Never use packing peanuts, lose fill or paper as the principle buffer. Be sure to write the SRA (service return authorization) number on the packing slip or outer box. Insure your machine for replacement with the shipping company for the full value of the machinery in the event of a total loss of your equipment. Then send us an e-mail so we know your machine is on its way.